WFT Ireland and the Alliance of Women’s Networks call for a gender focus in the European Commission’s proposal. WFT Ireland is proud to be a founder member of the recently established Alliance of Women’s Networks. This alliance is a newly established think tank bringing together national and supranational women’s networks active in the audiovisual sector in Europe and beyond (WIFT International, WIFT Germany, WIFT Iceland, WiFT & M Italy, WFT Ireland, WIFT Norway, WIFT Sweden, 5050×2020, EWA Network). 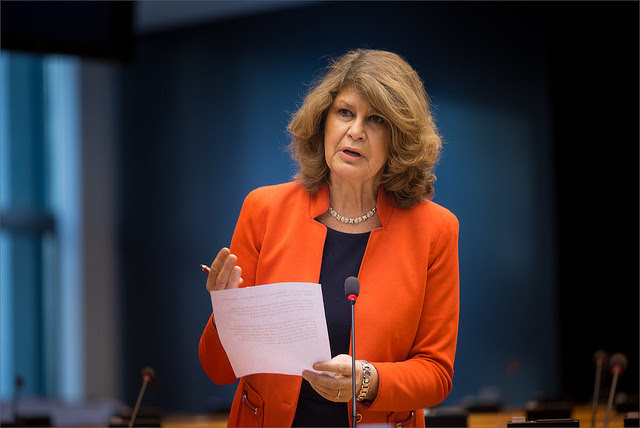 We support Member of the European Parliament Silvia Costa’s report on the new Creative Europe programme. The Alliance of Women’s Networks welcomes the draft report on the proposal for a new Creative Europe programme (2021-2027) by Ms Silvia Costa that will be examined and discussed on 20 November 2018 by the European Parliament Committee on Culture and Education. The Alliance joins Ms Costa in her positive appraisal of the inclusion of a gender focus in the European Commission’s proposal, which constitutes a turning point in comparison to the current Creative Europe programme. It also supports Ms Costa’s request for the budget to be increased from EUR 1.85 billion to EUR 2.806 billion, which would double the current allocation. The Alliance supports in particular Ms Costa’s proposal to add a new point under the provision concerning the Programme Objectives (Article 3, paragraph 2) that would include gender equality among the general objectives pursued by Creative Europe. It is also strongly in favour of Ms Costa’s proposal to include mentoring and networking activities among the specific measures to contribute to more balanced gender participation in the audiovisual sector listed under the Media Strand in Annex I of the proposal. It regrets, however, that among the indicators for the Media Strand listed in Annex II no reference is made to gender equality, either in the draft proposal or in Ms Costa’s report. Collection of gendered data is crucial to the success of policies promoting gender equality. The Alliance calls for the maximum possible allocation of budgetary resources to the mainstreaming of gender equality in all Creative Europe activities and to the specific measures in favour of gender equality under the Media Strand and encourages the MEPs of the EP Committee on Culture and Education to add a specific indicator on gender equality in the Media Strand of Annex II.